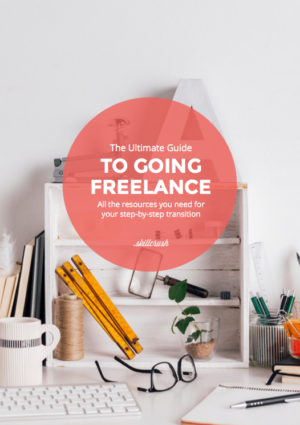 All the resources you need to transition into full-time freelance! Since I began freelancing just over a year ago, I’ve had the opportunity to work with nearly a dozen high-growth startups and world-class experts. What’s more is that I’ve never had to negotiate for the premium prices I charge for my content marketing services. Because I’ve done such an effective job of defining my value propositions, branding myself as an expert within my field, and getting my content in front of new target audiences, I now have a 3–6 month waiting list for new freelance clients. However, that certainly didn’t happen overnight. My rapid success in the world of freelancing is the result of a LOT of strategic positioning, hours of hard work, and good timing. 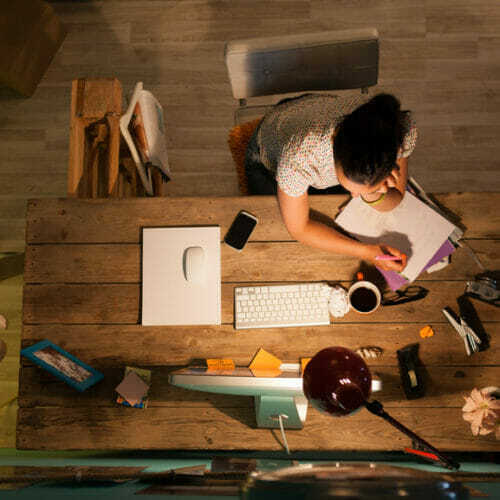 If you’re ready to get serious about freelancing and multiplying your self-employed income, here are my top twelve tips for earning more during your first year. And don’t forget to download Skillcrush’s free book, The Ultimate Guide to Going Freelance. 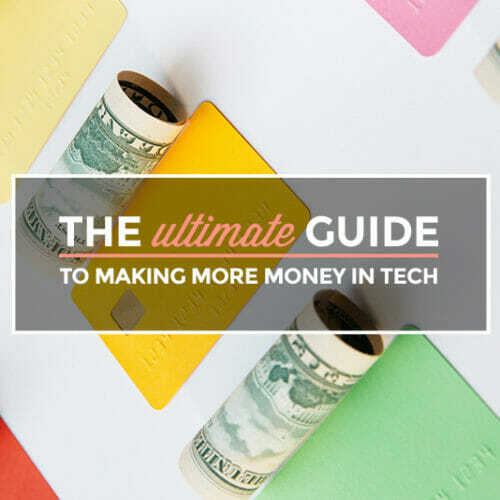 You’ll find tips for learning the tech skills you need to get started, strategies for adopting “the freelance mindset,” plus tricks for building a “career safety net” before quitting your day job. Get the guide here. If you’re new to freelancing, you might feel ready to take ANY paid work you can get your hands on. 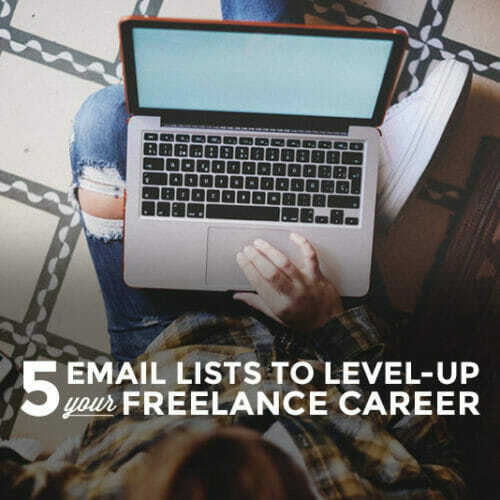 But as you get deeper into your freelancing career, you’ll need to start being more strategic about the types of work you do and the clients you take on. You might be thinking: How can getting picky about the freelance work I do help me make MORE money? Because when you specialize, you become an expert in a specific field, and experts can charge more for their specialized services. In my opinion, the age-old debate of whether you should be a specialist or a generalist when starting your freelance career isn’t even worth thinking twice about. If you were your client and you needed someone to fix your email marketing so people actually sign up, write ads that convince people to buy, or just update your outdated website, would you rather hire someone who’s a jack of all trades, or a person who’s a pro at doing one thing and doing it well? I’ll choose the specialist every time. And when it comes to my own experience, choosing to specialize as a content marketing consultant—as opposed to being a general digital marketer for hire—has been the single best decision I’ve made with my freelance business. Because I’ve built my reputation with clients as a talented content marketer over the past few years and frequently engage with content marketing content on various social media channels, I’ve been able to rise to the top of my niche in a relatively short period of time. This is one of my favorite takeaways from Becoming a Successful Freelancer over on CreativeLive. Aside from my blog and existing client referrals, the next most consistent source of new clients has been from business owners seeking out specific expert help through both Google and social searches like the one above from Twitter. So to expand this example to other fields, imagine you are just starting out as a web developer—you can get into a niche like migrating blogs to WordPress. That means when someone searches for “help with migrating a blog to WordPress,” they can find you. If you choose the right niche, deciding to specialize and putting some effort into branding yourself as an expert within your niche can really pay off for years to come. One major decision you need to make early on in your freelance career is what you do and what you don’t do. The more specific you can be about what services you offer, the better. Not only will it help you brand yourself, it’ll allow you to control how potential clients perceive you and give you the opportunity to continue building your portfolio in the direction you want to move in. If you want to focus on becoming a sought after, highly paid Ruby on Rails developer, then you shouldn’t even consider contract offers for customizing WordPress themes or designing the user experience for an upcoming app. While the short-term benefits of steady work are tempting (and sometimes necessary), taking on projects that aren’t getting you closer to your ultimate goal of becoming the best in your field, will only distract and delay you from making meaningful progress. Before you can go out and start looking for clients, you’ll need to develop a clear picture of who you’re going to work best with. Do you want to build websites for small business owners, pitch in on new feature development for high growth technology startups, or take on longer-term contracts with enterprise-sized companies? Making these clear distinctions between who and what type of business you’re targeting will be essential to effectively pitching your services. What type of business has the problems I’m solving with my services? Can the business I want to work with afford to hire me? What demographic trends can I identify about the decision makers in the types of businesses I’m targeting? Think: age, gender, geographic location, websites they frequent, and their personal interests. Because I know that I’ll be more engaged and work most effectively with smaller startup teams who are working on projects I can personally relate to, I’ve proactively chosen to make my scope of potential clients narrow. By working with similar startup teams, new potential clients I target within my niche are able to instantly relate with me, and have confidence that I’ll be able to replicate my results for their business, too. Picking your niche and making yourself stand out is one of the core principles covered in CreativeLive’s Essential Guide to Launching a Freelance Career. Includes your contact information so that potential clients can easily find you. The purpose of your portfolio is to educate, spark interest, and convince potential clients that they’ll want to choose you for their technical needs. That’s why it’s worth investing time into deciding what to feature on your portfolio and how it’s being displayed—before you start looking for new projects. Once your portfolio site is up, start including a link to the site within your email signature and on your social profiles. I’m a huge an of starting a freelance business while you keep your day job, as opposed to immediately pursuing self-employment. In addition to the fact that creating a high-quality portfolio website, building your personal brand, and adding to your portfolio naturally takes a good amount of time, it’s a good idea to have a few steady freelance clients on your roster before axing your sole source of income. 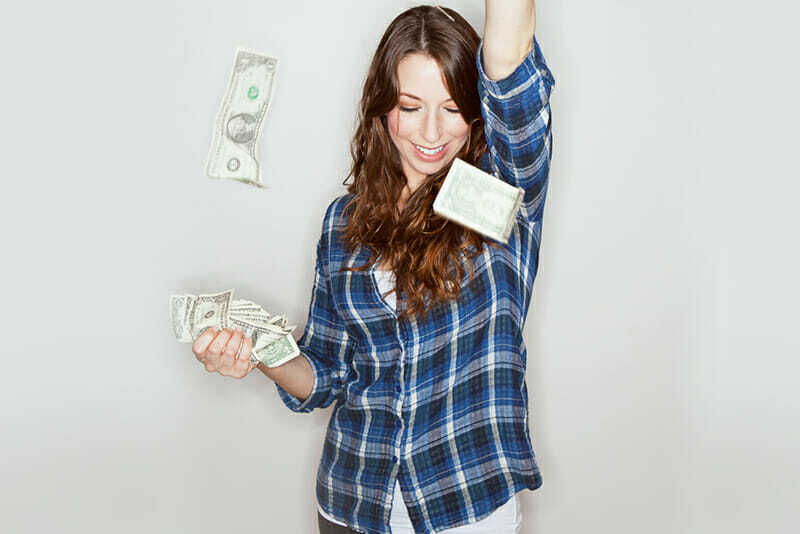 I recommend growing your side income to at least 50–75% of your total current income before leaving your full-time job, depending on your risk tolerance. Managing a tight schedule, heavy workload (including demanding freelance projects), and being responsible for client deliverables with limited time resources will teach you quickly what it’s like to run your own business. The other awesome benefit of picking up freelance clients while you’re still working full-time is that you can be selective. You likely don’t absolutely need the money. This puts you in a position to turn down work that either doesn’t pay enough to justify your time investment, or that you’re not genuinely interested in. These are two points you’ll need to be a stickler about if you want to be happy once you’re freelancing full-time. The best way to justify higher rates? Make sure you have impressive skills that are in high demand. Practice using your new skills by building the types of projects that you want to eventually be paid to work on. Whether that’s WordPress websites, mobile apps, or something else entirely, the more you can differentiate yourself among a sea of competition with cool side projects and examples that’ll attract potential customers, the better. And remember that while highly trained freelancers can get paid much more for their work, you don’t have to head back to school for BS in computer science to get on the train. Taking online classes like a Skillcrush Blueprint can get you on the right track and put you in charge of your education. There are many ways to build your credibility within your industry. Aside from creating high quality blog content and collaborating with notable influencers in your industry, you can write an ebook, create an online course, and line up speaking engagements to start increasing your visibility within your niche. These credibility-boosters can help you add your list of accomplishments that you can highlight on your portfolio and simultaneously demonstrate your knowledge for more potential clients to see. The wider you can broadcast your message, the more influence you’ll build within your niche. 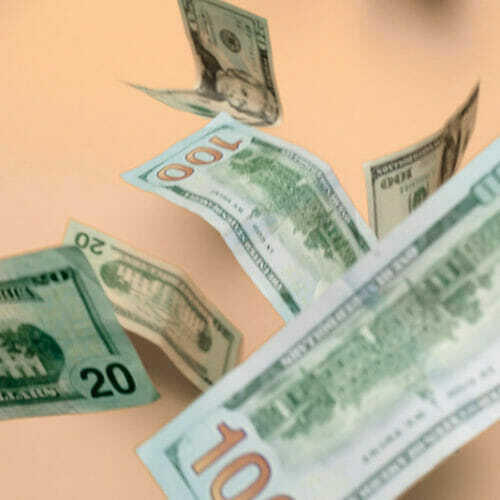 While deciding how much to charge for your freelance services is a major step toward determining your perceived value, you need to make sure you’re charging enough to make a sustainable, comfortable living. Most clients won’t hesitate to pay higher rates for a freelancer that gives them an incredible first impression and sells them on the ability to deliver high quality results. As long as I continue to deliver consistent value to my clients (beyond their expectations), I have no trouble setting and maintaining high prices for the services I’m providing. Before setting your prices at the bare minimum you need to charge in order to hit your financial needs, consider the actual value you’d be creating for your potential clients and make sure you’re not leaving money on the table. You can always increase your rates in the future and hope your client stays on board, but if you start at a price point you’re already excited about, you’ll be that much more likely to over-deliver and continue increasing your value moving forward. One of the most effective ways to land higher quality and better paying freelance work is through leveraging your existing networks. Whether it’s pitching your actual friends and former co-workers on freelance help, or using their connections to make warm introductions to companies you do want to work with, this is a great alternative to cold contacting potential clients. Whenever I discover a freelance opportunity I want to pursue on Angel.co, CloudPeeps, or elsewhere, I give myself 10–15 minutes to research the company, find my ideal point of contact, and do a little homework on if I have a mutual connection on LinkedIn, Twitter, or Facebook before reaching out with a cold email. If I do have a mutual contact, I’ll reach out to my friend (only if I’m actually friends with them) and ask if they’d mind sending an email introduction on my behalf. This approach, where my first impression is being endorsed by a recommendation from someone my potential client already knows, has consistently netted me higher response and close rates. There’s an art and science to pitching your freelance services to new clients. Because it’s such an important part of running a profitable freelance business, I created an entire online course on the topic of writing freelance proposals that convert, and I even give away my freelance proposal template for free. 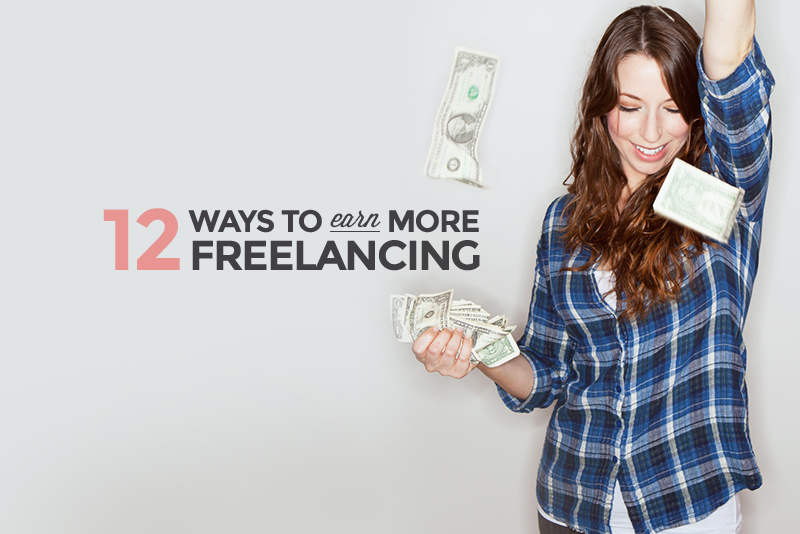 Landing new clients isn’t just a matter of crafting an awesome freelance proposal. Your success depends on how you’re selecting new jobs, how you position your value propositions, and how much research you do ahead of time. I’ve won new gigs simply because I clearly put in more time and effort into researching the company, determining their needs, and providing immense up front value in the form of insightful recommendations before I even discuss payment. In the world of freelancing, much of your success will depend upon the strength of your client relationships, and how well you’re able to forge meaningful partnerships. The goal of having a website showcasing your skills is to attract and convert new clients. What better way to increase the number of potential new clients coming across your website than by creating high quality blog content that positions you as a stand out expert within your field? At the beginning, aim for creating one or two in-depth blog posts per month, geared toward providing truly helpful solutions that your potential clients may be searching for. Note: That means you’ll be writing for an audience of your clients, not other people in your field. 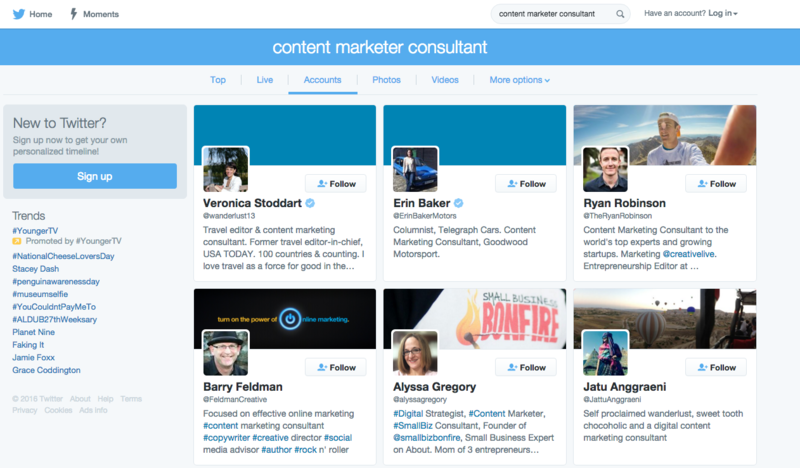 Once they discover your content and get some free value from you, you’ll naturally be top-of-mind if they’re ready to hire out for more in-depth help. I initiated the majority of the freelance contracts I’ve landed over the last year by mentioning a company in a successful blog post on my website. After publishing my in-depth post chronicling all of the best side business ideas, I spent a lot of time reaching out to a carefully chosen person at each brand or online tool I mentioned, asking if I cited them correctly within the post. The majority of them wrote back either confirming or offering a suggestion, which then gave me an opportunity to either pitch a guest post, ask them to share my content with their audience on social, or open the door to a potential marketing contract. My blog has been by far my highest return marketing channel for my freelance business. Once you have a website that highlights your abilities and clearly communicates that you offer freelance services, one of the most effective ways to increase your online visibility is by getting content published on the blogs and publications where your potential customers spend the most time. Marketing guru and consultant Neil Patel frequently shares about the huge contracts he lands for his business by publishing over 100 guest posts per year. While you’ll be starting on a much smaller scale, don’t underestimate the immediate benefit of getting your content featured on blogs and publications that can drive hundreds or even thousands of new visitors to your website. In the span of less than one year, I’ve been able to get my posts published on Entrepreneur, Inc, Business Insider, HubSpot, and dozens more publications by creating extremely high quality content and leveraging my pitching abilities. This increased visibility has had a direct, positive impact on my business. Are there any strategies I didn’t cover that you’ve used to make big gains in your freelance business? Share with me in the comments, I’m excited to hear them! And don’t forget to snag a copy of Skillcrush’s free guide, The Ultimate Guide to Going Freelance. You’ll get everything you need to know to take the first steps towards a freelance business you love. Get the guide here. Content Marketing at CreativeLive. Online educator at ryrob.com where I teach entrepreneurs how to start a business while working full-time.